Ring Wi-Fi Enabled Video Doorbell | Nerd Much? There are some shady folks that come to your door, aren’t there? But instead of having to come out of your house to be the old man yelling “Get off of my porch,” you can do so from anywhere in the world with the Ring Wi-Fi Enabled Video Doorbell. With the Ring Wi-Fi Enabled Video Doorbell, you can not only see who is at the door — which is clearly its most important feature — but you can communicate with that person at your door from anywhere in the world. 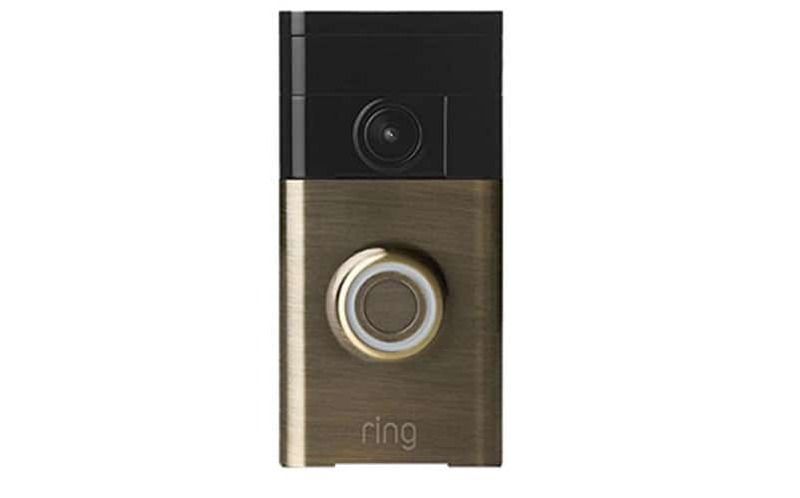 In fact, you can see who is at your door when you’re not even home, as Ring sends the direct HD video feed to your smartphone via an iOS or Android app. The doorbell’s built-in motion sensors detect movement up to 30 feet, and HD video can be recorded and stored to the cloud automatically (with all footage being accessible through the app). It has a built-in, rechargeable battery that lasts for about a year before you have to recharge it, and it doesn’t require you to gut your existing doorbell (although, you can also power it through your current wires if you’d prefer to ignore the battery completely). However, it just seems easier to just mount it. There are four finish options available, including Satin Nickel, Venetian Bronze, Antique Brass, and Polished Brass. So, if you’re tired of having to pause your Netflix marathon and put a robe on to see who’s ringing your doorbell, you might want to add this Wi-Fi enabled video doorbell to your arsenal of smart home gadgets. It’s available at Brookstone and on Amazon.